Once a trip is over, as ours is now, it is normal to reflect and offer suggestions for future travelers. What follows will be familiar to seasoned vacationers, but may still serve as helpful reminders for people planning trips to France. Everyone entering the post office in our village was greeted by a sign reading patientez, s.v.p. “Be patient, please.” This could be the guiding slogan for life in France. Americans, an especially impatient group, have to adjust. Restaurants expect people to appreciate how good food takes time to prepare. Clerks in stores tend to be friendly and helpful, spending lots of time with people who have questions. This means that those in line simply need to learn how to wait and, well, patientez. The restaurant staff will not bring a bill until it is asked for. L’addition, s’il vous plaît the key phrase. French restaurants should provide ample free water. Une carafe d’eau is the phrase for this service. Fancier restaurants may prefer customers to buy bottled water, but they too, should courteously provide a carafe. As far as wine, most restaurants will offer an inexpensive pitcher, typically in 25, 50 and 100 centiliter sizes. Look for pichet on the menu or ask. Some restaurants may not have a pichet but will bring a house selected, inexpensive bottled wine. In and around Lyon or in Lyon and Beaujolais-style restaurants, the house wine is served in a 46 centiliter pot. In a new, unknown situation, we tend to look for restaurants that have a notice announcing their selection by Le Guide Routard 2009. Routard is a dependable source for a good quality/price combination. Its selections are classified according to cost. This means that a Routard insignia on a really low-priced place will not offer the same quality as the insignia on a higher priced establishment. Check the menu before deciding. Restaurants with large menus are often tourist traps. France has loads of ATM’s. This is the best way to get cash. Check with your bank to make sure the card works abroad. 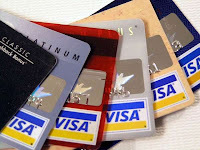 Typically, cards with Visa or MasterCard logos offer no problem. If the trip will last long, make sure to check the card’s expiration date. Always bring a backup (either an additional copy of the same card or a second, different card). The magnetic tape on the back of my card seems to have worn out near the end of our time in France. France is also well wired for credit cards. French cards have an imbedded chip and waitstaff may be puzzled about the need to swipe American cards. They may also not know that sometimes a quicker swipe or a swipe in the reverse direction will do the trick. Some inexpensive restaurants do not take cards. While there is no problem in hotels and most restaurants, there are places where the American card does not work. The Paris Metro system is one of them. We have also found that the card readers at self-serve gas stations do not take American cards. If there is a clerk, typically that person will have a machine on which the card works. It is the reader on the gas pump itself that does not seem to accept American cards. Several years ago, American cards would also not work on the toll booths of the highway system. Many hotels now offer WiFi as a matter of course. The only thing to recall is that WiFi accessibility as touted on a hotel's web site need not mean "free" WiFi. Look for sites that actually say “Free WiFi” (WiFi Gratuit), not just "WiFi." In some hotels the WiFi is only operative in the lobby and on the lower floors. Picking up some perfume or wine at a duty free shop before boarding the return flight is common practice. The package will be sealed and can be brought aboard the plane for the France-US flight. Once in the U.S., people with connecting flights have to store the liquids in their checked bags. This can be done when they are picked up at customs and prior to depositing them for the next flight. People who buy duty-free liquids should be sure they will have room for them in their checked luggage. Bon voyage and thanks for reading Casually Provence. well, thank you for these advices. I came to France three months ago, and now I work in this nice hotel restaurant near Avignon : le Moulin de la Roque ( http://www.moulin-de-la-roque.com ) . Indeed, a french restaurant looks like the way you describe it.